In April of this year, amid massive hell-raising over Facebook‘s privacy settings, four NYU students thought they could make the online social experience better. Their idea, Diaspora “aims to be a distributed network, where totally separate computers connect to each other directly, will let us connect without surrendering our privacy. We call these computers ‘seeds’. A seed is owned by you, hosted by you, or on a rented server.” Since Diaspora won’t have access to user data, they can’t infringe on users’ privacy. In terms of the technical aspects behind this, we have our doubts. They launched their idea on Kickstarter with a $10,000 goal to cover summer expenses to develop the app. It seemed like everyone was really, really excited for them to succeed, mostly because people were hating on Facebook so bad. By June 1st, Diaspora has raised a total of $200,647 collected from a total of 6,479 backers including Mark Zuckerberg himself. Unlike Facebook, Diaspora runs on open-source software and doesn’t depend on centralized servers. It addresses a key feature that Facebook has neglected, which is contextual sharing. 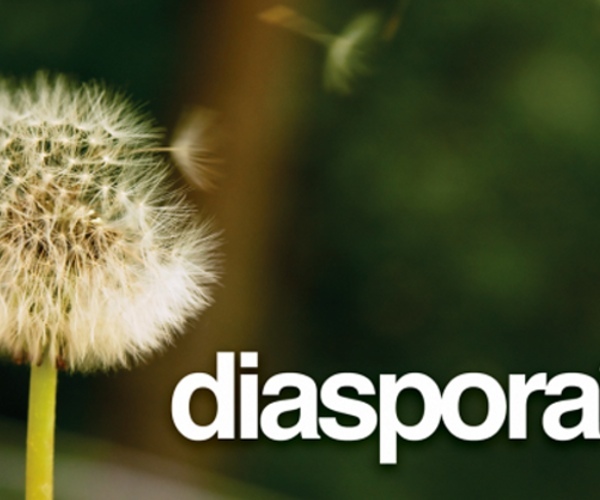 Diaspora lets you create “aspects,” which are personal lists that let you group people according to the roles they play in your life such as family, friends and co-workers. According to the founders, they think that aspects are a simple, straightforward, lightweight way to make it really clear who is receiving your posts and who you are receiving posts from. 6 months of plug-ins, APIs and designing UIs later and the the alpha release has arrived. They released alpha invites yesterday, and we snagged one today. You’ll notice the home page features a stream of your contacts’ comments similar to Facebook and Twitter. You can choose to share a message across all of your “aspects” and share that message publicly via RSS, Twitter or Facebook. The “Aspects,” which you’ll see in the tabs on top and on the right hand side are labeled, “Family,” “Work,” and “Friends.” If I want to share something across just one of those aspects, I simply click on that aspect and post on that wall and it uploads in near real time. Once I’ve posted a comment I can easily delete or re-share the comment on other aspects. Creating a profile on Diaspora is a minimal effort. Photo, short bio, birthday and a blank space for gender, so feel free to enter “Ultrasexual,” if you so choose. All of Diaspora is pretty minimal at the moment. It’s a simple, nearly skeletal social graph but it looks pretty slick. It has a few bugs to work out, for example a few of my photos/messages wouldn’t post and you can’t add contacts using an iPad as the ‘drag to add’ doesn’t work, but that’s to be expected. It does seem a little odd that a project that came to be called the “anti-Facebook,” has chosen to integrate with Facebook. Twitter has also been integrated, although it still has some kinks to work out like how to properly share an image with Twitter. Yes, it’s only the alpha release, but it seems like the kids have spent three months learning how to program more than anything else. One New York City programmer said, “Must say… pretty bummed with Diaspora. These kids are cutting their teeth on this project instead of delivering a useful tool.” But as more users join, provide feedback and more people get involved in its open source platform, we (and probably their 6,000 backers) hope they’ll be able to grow into a more robust network, particularly as Facebook grows larger and more Goliath like by the day. So, as we’ve been saying all along, but now with a slightly less expectant breath, best of luck boys. Read next: XM Canada & Sirius Canada Merge. Huh? What?